Every year, we take a look at the past year and make informed predictions of the year to come. Based on 2018’s algorithm changes, privacy scandals and the US political climate’s build up, 2019 is poised for social media networks to regain the trust of their users. You’ll notice the idea of “trust” as a vein that runs through our predictions. The year is also ripe for more unique brand positioning campaigns. A direct result of more advertisers on social media platforms is higher advertising costs. This year, we should expect to see more money invested in paid campaigns and more growth in the influencer marketing sectors. Groups took off in 2018 as a way for brands to directly connect with fans without the algorithm affecting their posts. 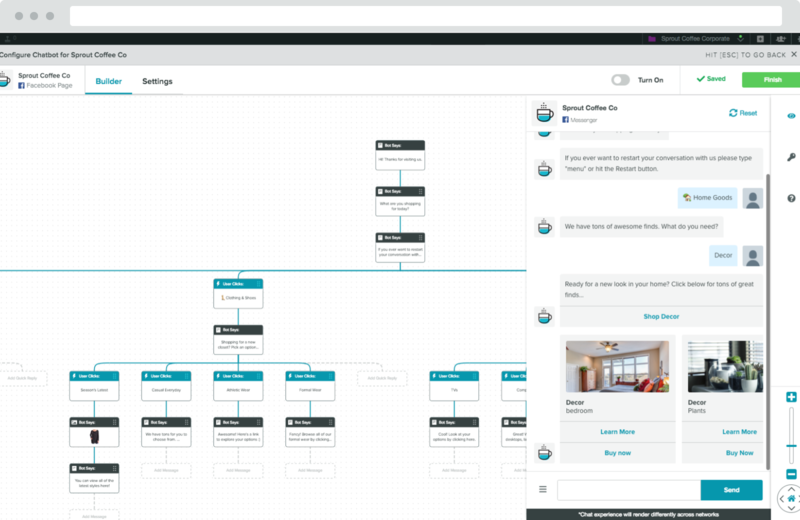 They’ve been used to not only garner quick feedback about products but also as an additional engagement tool. Some influencer accounts have turned to creating private Instagram accounts to avoid the Instagram algorithm. Brands also followed suit by creating private alternative accounts to drive up interest. In an article in the Atlantic, Sonny, who runs several meme accounts on Instagram, said he flipped four of his accounts to private. The return has been tremendous, noting that the “growth on those accounts has far outpaced anything he’s been able to get from making it on Instagram Explore.” It will be interesting to observe if this trend continues in 2019. 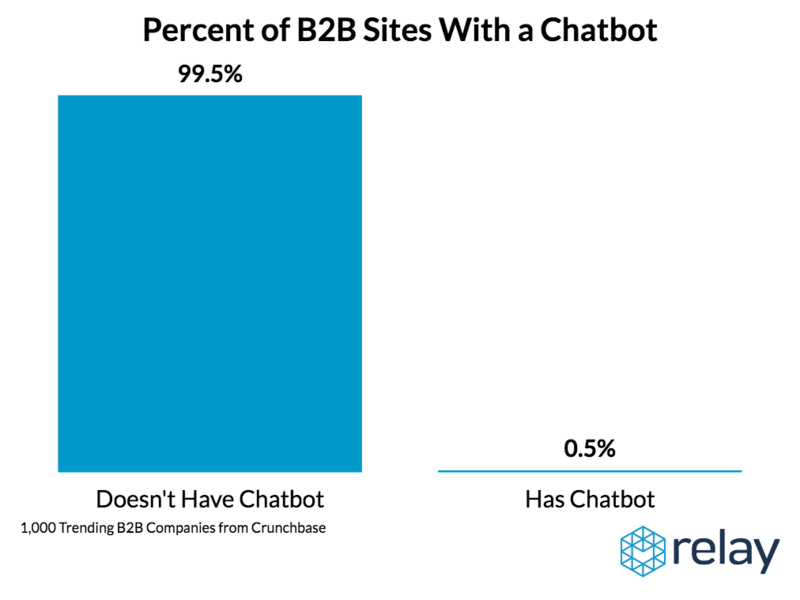 So whether you’re getting a new chatbot set up for your brand or expanding a current one’s capabilities, jump in on personalized commerce the old-fashioned way: remembering your customers’ preferences and history. On Twitter or Facebook Messenger, this could mean something as little as remembering that they’ve purchased a shower curtain from you before and you following up on the purchase. These notes can be easily maintained in Sprout. The conversational commerce trend also means that consumers want that personalized interaction with brands. Take the time to interact with them without the selling propositions. 2018 was a landmark year for the major social media networks. Facebook battled privacy and data sharing concerns and Twitter struck down troll accounts while making it easier to report harassment. GDPR going into effect in 2018 also meant that many companies took note of what their customer data was being used in. 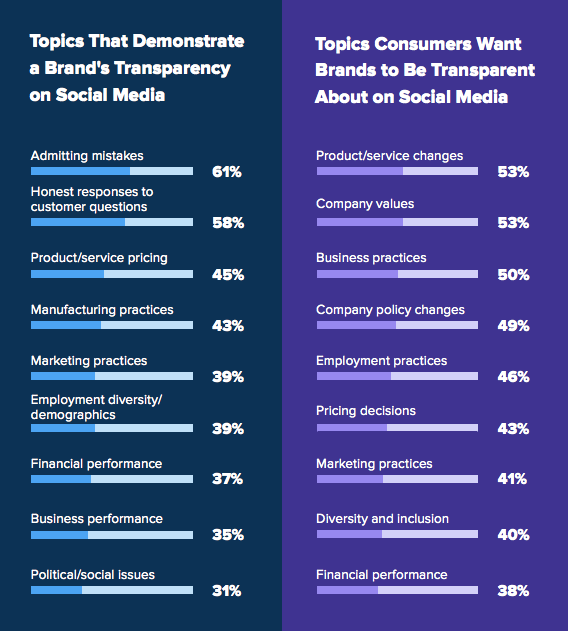 In Sprout’s study on brands and transparency, we found that 55% of customers found brands to be only somewhat transparent on social media. In a more stunning statistic, millennials are expecting more transparency out of brands than politicians or friends and family. There’s plenty of room to grow for brands in transparency. Brands who don’t have any need to take note and internally examine where they can do better. Transparency trends are here to stay. If brands want to get ahead on this, they can start with what consumers want on social media. The top three desires are product/service changes, company values and business practices. For your company, this could mean publicizing product iterations or app updates, demonstrating your company values and giving more behind-the-scenes looks at your business. Going deep on transparency will take some time to plan but in the long run, it’s been proven to be worth the effort. Remember that saying you’re transparent is not the same as actually being transparent. Your words must be backed up by actions. Facebook has had a long reign at the top of the social media charts. But 2018 was not kind to it and its practices have led many, including the NAACP, to call for boycotts. In mid-2018, it “posted the largest one-day loss in market value by any company in US stock market history” at $119 billion, according to CNBC. Some users have quit Facebook altogether, which leaves marketers wondering what’s next for social media. It’s a ripe time for a new network to be built with transparent data practice usage and their customers in mind. It’s best to keep an eye out for new channels in case one of them could be useful for your brand. Sprout’s recommendation is to reserve your brand handles on emerging social networks just in case a network becomes big in the future. Snapchat’s features of a disappearing post infiltrated almost every major network, sometimes more than once. Instagram Stories received major updates in 2018 with AR filters and interactive stickers. Facebook added Stories to personal accounts, Pages, Messenger and Groups. Both WhatsApp and YouTube also invested in Story-like features. As of May 2018, Stories across four platforms was approaching one billion uses every day. These snapshots have evolved from basic, behind-the-scene features to branded storytelling snippets. Integration with shopping features will only increase in 2019 to appeal to brands. There’s no sign of Stories stopping its rise, so it’s best to start incorporating it into your strategy if it isn’t there already. Take a look at our recommendations and guides for Instagram Stories and Facebook Stories. More time and money will be spent on influencer marketing in 2019, but not in the way you think. A chunk of it will go into deeply researching accounts and double checking that the brand partnerships they’ve posted are actually real. Because of this, employee advocacy will rise up as the next level of influence. Encouraging your employees to talk about your brand will help brand awareness even more. 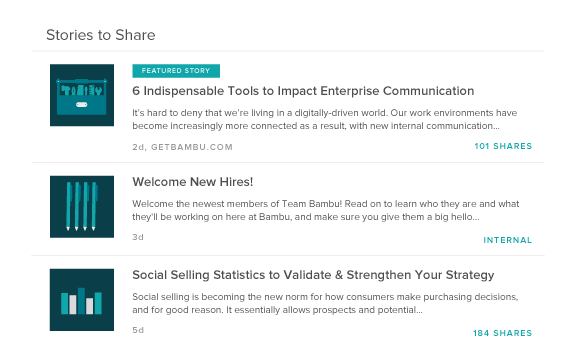 Products like Bambu help encourage this amplification by allowing companies to internally distribute shareable content. Get ahead of this trend by examining your own internal communications and amplification procedures. What can you do better to allow for a more seamless employee sharing experience on social media? The value of a great analytics dashboard should not go overlooked. While every network has its own native analytics, no social media manager wants to spend time every week, month or year gathering data and hand-inputting it into a spreadsheet. 2019 is the year to invest in a tool that syncs all of your data for you and spits out a chart that you can take to the C-suite. Look, it’s hard enough to keep track of all of the new features and what their impacts are but to also track every metric that comes in is a whole other job. Use a dashboard that gives you varied reports and views from both a wide lens and a granular one. This way, you’ll know exactly what works in your strategy and you can simultaneously give the big picture to your CMO. 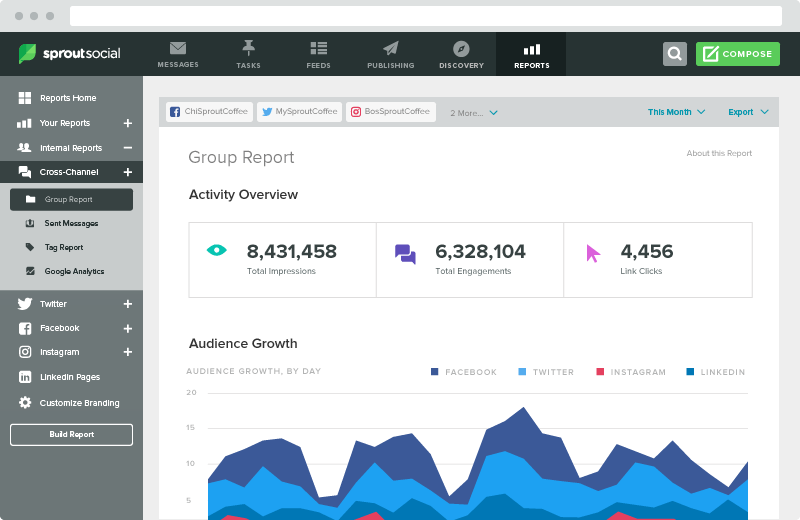 Sprout’s analytics reports are customizable across multiple platforms and accounts, plus they’re presentation ready. Take the hour you use for assembling reports and spend it on something more pertinent, like connecting with your followers. It’s fun to take a guess at what the next year will bring for social media. While we certainly couldn’t have predicted the data breaches of 2018, it was still a landmark year of change and public trust for brands. 2019 will only bring more new, interesting features that we hope will drive the social conversation forward for brands. The trust relationship between brands and consumers will be rebuilt through private groups, transparency reports and employees as influencers. We’d love to know what your predictions are for 2019 social media trends. Tweet us your thoughts @SproutSocial.